This is a parasitic plant, with a smooth, leafless stem from a foot to a foot and a half in height, with slender branches given off the whole length of it. The root is scaly and tuberous. 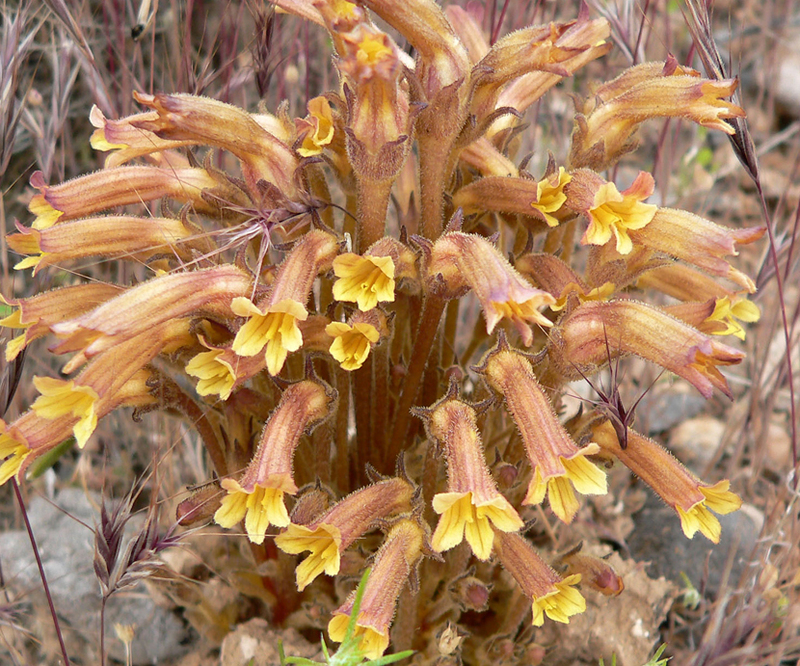 Orobanche uniflora var. uniflora L.